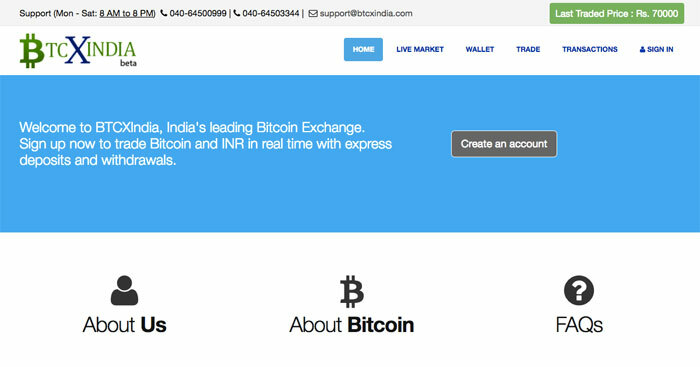 If you are residing in India, there are basically five main websites which you can use to buy bitcoin in India. The first four websites are Bitcoin exchanges while the last option is a marketplace. 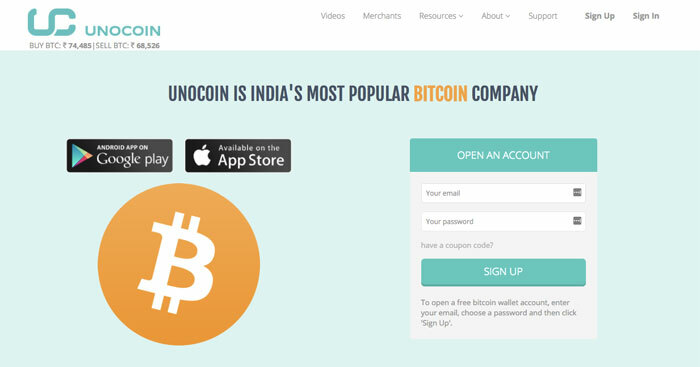 Unocoin, established in December 2013, is one of the largest Bitcoin exchanges in India. Using your Indian bank account, you may purchase bitcoin using online banking or NEFT or RTGS. In September 2016, Unocoin announced that it received $1.5 million in venture capital financing. Some notable investors include Boost VC, backed by Adam Draper and Digital Currency Group, backed by Barry Silbert. This comes 2 years after a $250,000 seed round funding from Bitcoin Opportunity Corp. Unocoin claims to have over 100,000 users and has a how-to videos in several dialects such as Hindi, Kannada, Telegu, Malayalam, Tamil, Marathi and Bengali. In January 2016, Zebpay announced that it received $1 million in Series A funding from a group of angel investors. By December 2016, Sandeep Goenka, COO and co-founder of Zebpay announced that Zebpay has crossed Rs 500 crores in turnover with trade turnover reaching Rs 100 crores in November 2016 alone. He also announced that the Zebpay app has been downloaded over 200,000 time. The 2016 demonetization of ₹500 and ₹1,000 bank notes in India has spurred the growth of Bitcoin and digital payment startups in India. Coinsecure, established in June 2013, has received two rounds of funding - a $300,000 seed round in July 2014 and a $1.2 million Series A in January 2016. It is one of the most active startups in forging partnership with international Bitcoin companies. Some notable international partnerships that Coinsecure has forged are with Purse.io, Bitpay, and OKLink. BTCXIndia was one of India’s first Bitcoin exchanges that allow for real time trading. It received two rounds of investments of undisclosed amount in December 2013 and March 2015. In May 2015, it announced that it was shutting down due to the loss of a banking partner. However, it seems like the website is operational and there are transactions happening albeit at very low volume. If you are interested in buying bitcoin from another user instead of going through a centralised exchange, you should consider using a marketplace like LocalBitcoins. A marketplace is useful for people who would not like to go through much KYC (Know-Your-Customer) identity verification. Marketplaces are usually more risky so be careful and only trade with those with good reviews. LocalBitcoins offer some basic protection with an escrow function. These are the main ways to purchase bitcoin in India. There have been several requests asking about how to buy alternative cryptocurrencies (“altcoins”) such as Ether, Litecoin, Dash, Monero and so on in India. It is very simple if you are interested in acquiring one of these altcoins. First, you will need to buy bitcoin using one of the methods above. Next, register for the services of a cryptocurrency exchange such as Poloniex or Bittrex. 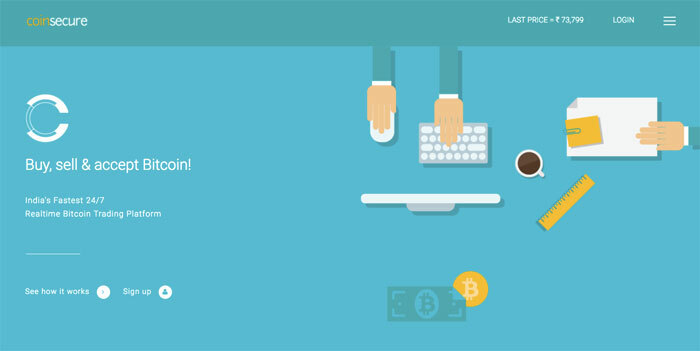 Send your bitcoin over to these cryptocurrency exchange and trade them for the altcoin of your choice! Do remember to transfer your altcoins out of the exchange to a wallet that you control and don’t forget to backup your private keys.